After announcing the general availability of Cloud Memorystore for Redis last year, we have seen tremendous growth across various industries, especially in gaming and retail. Cloud Memorystore for Redis lets Google Cloud Platform (GCP) customers use a fully managed, in-memory data store service. Cloud Memorystore automates all administrative tasks to manage your Redis instances, including provisioning, scaling, and monitoring, so you can focus on building apps with low latency and high availability. We are excited to announce Cloud Memorystore support for Redis version 4.0 (in beta) and a new manual failover API here at RedisConf 2019. Caching improvement. Redis introduced a least frequently used (LFU) algorithm, which can provide a more accurate estimation of caching usage than least recently used (LRU) caching. Active memory defragmentation. Redis can now defragment memory while online. This helps with actively reclaiming unused memory, which prevents unnecessary crashes. We’ve also added a manual failover API to Cloud Memorystore so you can test its failover behavior. Before deploying applications in production using Cloud Memorystore, it’s important to test the behavior of the client and the application when a failover happens. With the new API, it’s easy to trigger a failover and observe the application behavior so you can plan accordingly for backup and restore purposes. 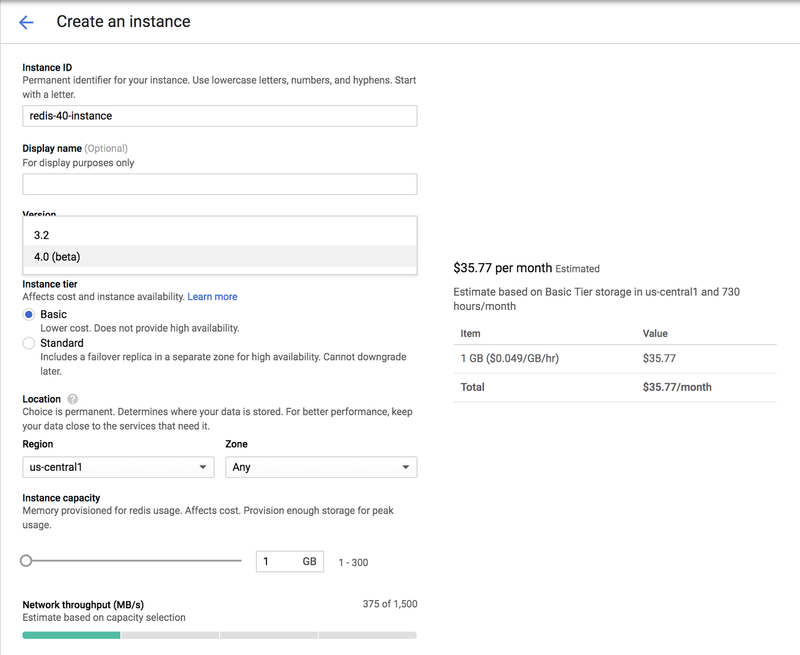 Learn more about Cloud Memorystore for Redis here and see various deployment scenarios for running Cloud Memorystore on GCP here.